Here in New England it's starting to get chilly. Perhaps it's time to start checking out some warm weather escapes? 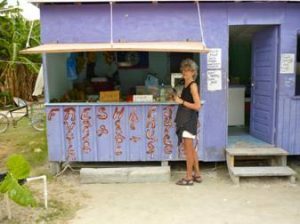 Caye Caulker -- a tiny island off the coast of Belize. Very laid back and easy going. No roads or cars, just bikes and a few motorized golf carts. Good access to the Hol Chan Marine Reserve- some of the best snorkeling and diving ever. I stayed at a VRBO but there are a few small hotels. Grenada -- also very laid back. Terrible roads but the "buses" (overly crowded minivans) are cheap and frequent. Some beautiful beaches and lovely, warm people. My favorite hotel was a small property in the north called Petite Anse. 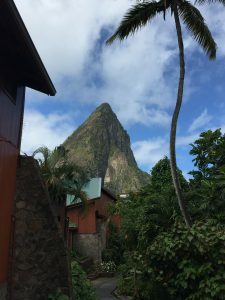 St. Lucia -- gorgeous, mountainous island - a little bit of Hawaii in the Caribbean. 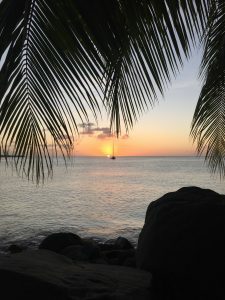 I stayed at St. James Morgan Bay - my first experience at an all-inclusive and it was a good one. Also, while the regular rates tend to be a bit steep, they often have sales. Otherwise, I'd also recommend Calabash Cove or Ladera- a stay at either or both would be very special. Great locations for honeymooners.